First of all congratulations that you have taken a decision to start your own practice now. It surely is an important milestone of your professional career and you would like to make the most out of this decision. But before you jump the gun, it is important for you to get an idea of what lies in store for you ahead. It could be the steps you need to take to start the practice, the challenges ahead and what are the important items you need to take care of. Most of the people jump the gun directly and do not invest time in thinking through the reason behind opening their practice. If you want to play long in this game, you need to think long from the starting itself. You must have a vision to have a clear idea as to how you want to take this forward. Let it not become a result of your sudden jump in passion. 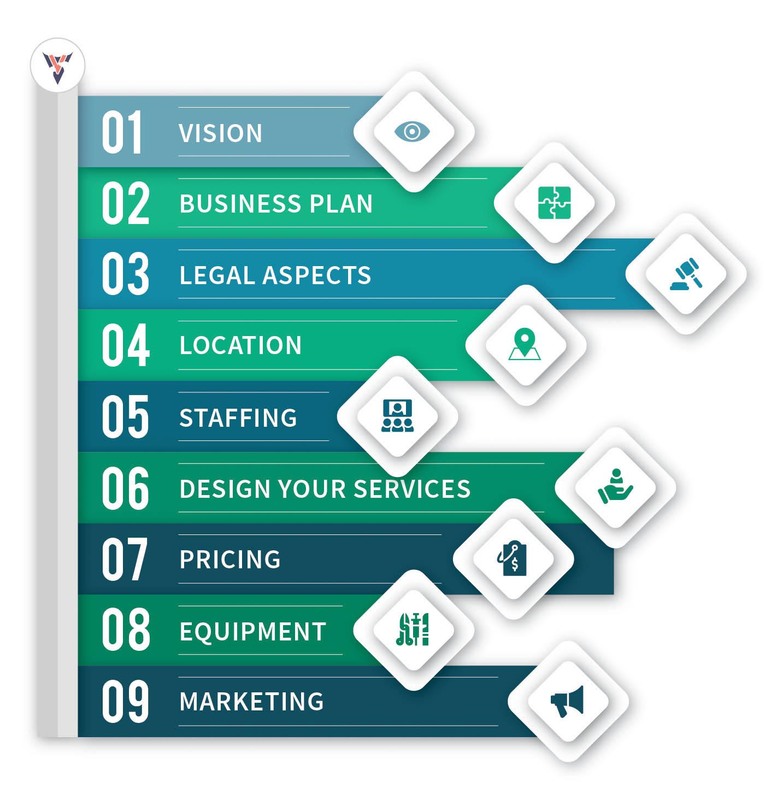 Irrespective of the business one wants to start, creating a business plan is one of the first few steps, which must be done as a part of the planning process. A basic plan should contain the type of clinic you wish to operate, the range of services you want to offer, overall size of your operations. This should also include your sources of revenue, the potential expenditures that may have to be done. You should at this moment also try to forecast your financial numbers based on assumptions. You should also try to figure out your sources of funds at this stage itself. Forecasting will help you to create milestones and judge success/failure of your practice. Also, it is to be understood that at this moment you might not have complete information, so certain logical assumptions are required and also keep a scope for deviations. Before starting the practice, it is advisable to create a legal business entity. This will avoid any personal liability in case your practice is sued due to some reason. It is also imperative at this moment to research if you need any legal approvals from the local or federal bodies. If yes, the same should be procured to avoid any non-compliance issues at a later stage. You would like to open the practice at a location that is easily accessible by your larger client base. You would also like to figure out the competition in that area since if there are already too many clinics in that area, then making inroads will be tough if not impossible. Buy or Rent, would be another important decision to make. One must weigh financial pros and cons before making the decision. Buying would incur a one time fixed cost while rent would be periodic lesser variable cost. You cannot do all the work by yourself. You would need technicians, receptionists etc. for running the practice successfully. You must also forecast at this stage how many of each of the support staff do you need. Once you have a clear idea on requirements you can start the hiring process. Hiring is an important activity, since a wrong hire may impact the business in the beginning. It is also one of the most time consuming activity, since you need to screen profiles, take interviews and then possibly select one of them. You can either choose to do by yourself or ask an agency to do some work for you. Although most services will follow a standard operating procedure and there is little modification which you can do. However, in this limited scope you can see what best you can do to create a positive differential over others. Also, in today’s world customer experience has the prime importance. You can also think about how you want to give a long lasting and positive customer experience to your clients. Customer Willingness to Pay: Eventually, your customer will be paying for the services. So you must figure out how much is the maximum an average customer can pay and price accordingly. Competition based: You are not alone in the business. Your competitors also share the same customer base. If your pricing is higher than your competitors, customer might choose your competition over you. Once most of the above steps are done, the clinic then needs to be fitted with the equipment required, laboratory instruments, medical supplies etc. Not having them is surely not going to create a positive customer experience. Once you are ready to go, you need to start marketing the practice. You could choose to do by yourself, get people on board or outsource this to professional agencies. You can do marketing in print media like advertisement in newspapers, magazines etc., in outdoor media like banners, billboards, posters etc., in electronic media like Email Campaigns etc. If you are high on budget, you can opt for TV and Radio Ads as well. Social Media is the newest trend and your presence is very vital there to engage with the community by and large. It goes without saying, that a strong and good website will add value to your brand further. 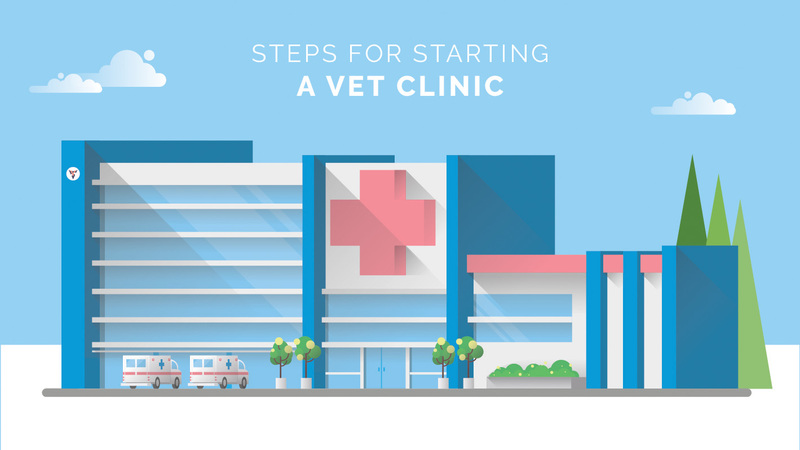 All in all, these are some of the steps you can do to open your veterinary practice. This is a basic framework and based on your context you can add, reduce or modify some items to kick start your veterinary practice in a planned and structured manner.